Whether you’re looking for a new Kia, Buick, GMC, or Lexus, Royal Automotive Group has new vehicles you’re looking for at a price that’s hard to compete with. This is especially true when you take a look at our new vehicle specials. Our car deals open up our selection of the latest models to a wide spectrum of budgets. Check out our rotating stock of specials, and then reach out to Royal Automotive Group in Tucson when you’re ready. 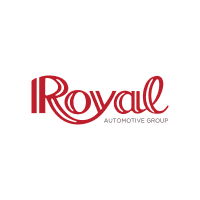 Why Choose Royal Automotive Group in Tucson? The short answer is: we’re the only dealer in Southern Arizona that offers an in-house lifetime powertrain warranty on the majority of our vehicles. That’s right—have engine trouble with one of our vehicles and our mechanics will take care of it for free. This applies regardless of how old or how many miles you’ve put on it—no secret fees—no gimmicks—just free engine service. Have any questions? Contact us today.